Mobile Operators in the sprawling archipelago nation of Indonesia are transitioning their networks to meet the demands of the latest technologies and an increasingly connected population. Indonesia, a country with nearly 410 million mobile connections, experienced rapid uptake of 4G services over the past year, with connections increasing 2.5-times and LTE penetration hitting 21 per cent. The country’s 4G connections jumped from 34 million in Q3 2016 to 85.5 million in Q3 2017, according to data from GSMA Intelligence (GSMAi). LTE penetration in Q3 2016 stood 7.9 per cent. To support the growth, mobile operators almost doubled the number of 4G base stations deployed in the opening six months of 2017, with 55,700 sites at end-July compared with 26,000 at end-2016. The country’s mobile market was characterised for many years by the large number of players licensed by the local regulator. Seven mobile operators are competing for revenues in the Indonesian market: Telkomsel, Indosat, XL Axiata, 3 Indonesia, SmartFren, Bolt and Bakrie Telecom (BTel). 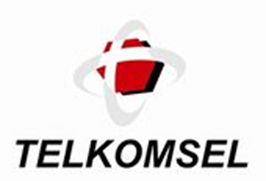 Market leader Telkomsel continues to maintain a huge presence but is under increased threat from the competition. Telkomsel has a market share of about 44% in Indonesia and is the only operator which is active in all provinces. It had 180 million users in late 2017 making it the 6th largest cellular provider in the world. It is 65% owned by the state through Telekom Indonesia, the remainder owned by Singapore Telecom. The operator, with a 44 per cent market share, sourced network equipment for the deployment from Ericsson, Huawei, Nokia and ZTE. It is using 20MHz of 1.8GHz spectrum combined with 4×4 MIMO technology in the country’s capital city Jakarta and also Medan, Bandung, Denpasar, Mataram, Pontianak, Makassar, Manado and Ambon. Telkomsel paid Rp 1.01 trillion ($74.7 million) to secure a license for a 30-megahertz band on the 2.3 gigahertz spectrum, which will enhance its capacity to offer wireless broadband services across the country.The new license means that Telkomsel now has a total band of 77.5 MHz on the 2.3 GHz, 2.1 GHz, 1.8 GHz, 900 MHz and 800 MHz spectrums. The operator said they have deployed at least 5,200 4G base stations in 180 cities across the country to date. It had about 12 million 4G subscribers in Q3 2017 and expects to have 15 million by the end of the year, accounting for nearly 9 per cent of its mobile users, according to GSMA Intelligence. According to Open Signal Telkomsel was well ahead of its rivals in 4G speed, averaging downloads of 14.6 Mbps in their tests. However 4G availability was where they fell behind their rivals. Indosat, Indonesia's second-largest telecommunications operator had about 82 million mobile subscribers last year, compared with Telkomsel's 180 million. It has a good coverage on the main islands of Java, Bali, Kalimatan, Sulawesi and Sumatra, at low prices. 4G/LTE has started in Jakarta, Bandung, Yogyakarta and Bali and is available in about 94 cities at the end of 2016 on 900 and 1800 MHz with speeds up to 185 Mbps: 4G coverage map. In 2017 they bid for further spectrum on 2100 MHz. XL Axiata is the 3rd provider in Indonesia. According to its website they have 46.5 million subscribers. It is owned by Axiata Ltd. and has about a 90% coverage on these islands: Java, Bali and Lombok. Furthermore, it covers cities on Sumatra, Kalimatan, Sulawesi and a very limited coverage on Papua. Where it has 3G, speeds are often faster then Telkomsel. 4G/LTE has started in Jakarta, Medan, Yogyakarta and is spread to other regions like Bali, Lombok, Surabaya and East Kalimatan and Sulawesi on 900 and 1800 MHz. As at 31 October 2017, XL Axiata says it had rolled out 4G LTE services to around 100 towns and cities in Indonesia and had more than 20 million 4G subscribers nationwide, using a network comprising 16,000 BTS. At the same date, its total number of ‘on-air’ base stations had reached nearly 100,000, of which more than 44,000 were 3G-equipped. ‘Digital and multimedia services are expected to experience rapid growth this year. And in future the success of these services is reliant on [Tri rolling out] mobile internet infrastructure to support growth, as it is expected to become the main channel to carry such services’. People wishing to sign up to the Tri 4G LTE network will need to buy a suitable 4G LTE SIM card and handset. Customers can exchange their old Tri 3G to 4G SIM card without extra charge at any 3Store. Tri currently has a total capacity of 25 MHz -- 10 MHz in 1,800 MHz frequency and 15 MHz in 2.1 GHz frequency. Smartfren owned by Indonesian PT Smartfren Telecom Tbk is a major player in the country. It had around 13 million customers in 2016 and has now migrated entirely to LTE. In 2016 Smartfren started the most widespread andfastest LTE in the country so far. It employs LTE Advanced that reaches higher speeds through carrier aggregation. But two rare frequencies are used: 850 MHz FDD (Band 5) and 2300 MHz TDD (Band 40). Already 5 million customers have been migrated to LTE. Smartfren's coverage is on the islands of Java and Bali, parts of Sumatra, Sulawesi, Lombok and Kalimantan. It started 4G/LTE in 25 centers so far and reaches 188 cities in 2016. Since Smartfren phased out its 3G network, it has an impressive 4G network in terms of reach for those 2G and 3G customers to migrate to. According to Open Signal Smartfren testers were able to find an LTE signal more than 90% of the time, winning Smartfren their 4G availability award. Bolt! owned by Internux is an Indonesian wireless broadband provider based on TD-LTE. It started in 2014 and has already 3 million customers in 2017. It uses the rare 2300 MHz TD-LTE (band 40) that is not covered by usual devices. That's why you are likely to buy new hardware for them. It only operates so far in the cities of Jakarta and Medan. Therefore it's more like a substitute for a landline ADSL-provider than a travel option. The smallest and troubled mobile operator owes the government millions of dollars in licence and frequency rights fees. It originally launched CDMA service in 2003 in Jakarta, West Java and Banten and started to offer fixed wireless service in 2007. It had about eight million subscribers at its peak. Last year the Ministry of Communications and Information Technology revoked its fixed wireless access (FWA) and fixed licences. Huawei have recently acquired a near 17 per cent stake in Bakrie Telecom. Questions for the future: Can the Indonesian market sustain this number of mobile operators? Who will win the 4G and subsequent 5G race?